5 spacious and well appointed staterooms each with en-suite dry bathrooms and separate stall showers. Toilets are all electric and have single press flush cycle. Headroom in cabins and saloon is just over 6’ 8”, toilet is 6’ 7” and shower stall is 6’ 11”. Cockpit has 6’ 11” of headroom. 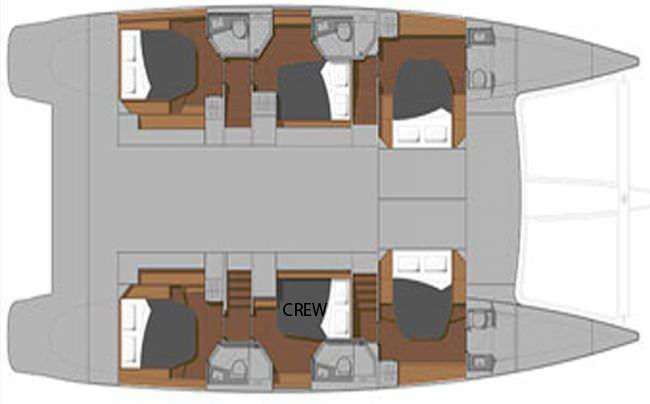 Yacht has quiet central A/C for guest comfort and each stateroom has individual A/C controls. Fly-bridge has full bimini over upper lounge area for shade. All cabins are standard size queen. 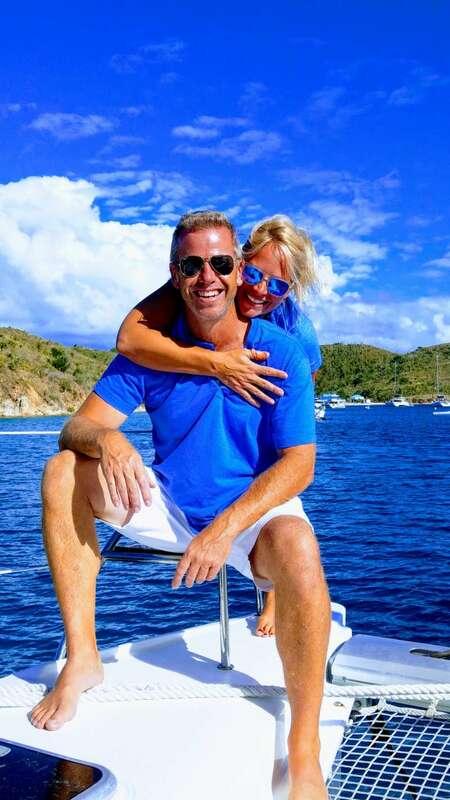 Communicate: Onboard WiFi in USVI and BVI for email use, no streaming please. FISHING NOTE: catch and release ONLY. Other Entertain: Blue Pepper is equipped with a full medical kit, oxygen, as well as an automated external defibrillator. They also have a child playpen 24"x33" which fits on the floor in the guest cabins for clients with little ones. All toddlers need a child life vest which parents should purchase at their local store to ensure a proper fit before the charter, complete with a tether please.